Better pricing than from my doctors office. Free delivery and no tax helps too. Beta-Sitosterol by Pure Encapsulations is great and the pill is not that large. If you're a man‚ your prostate is extremely important. 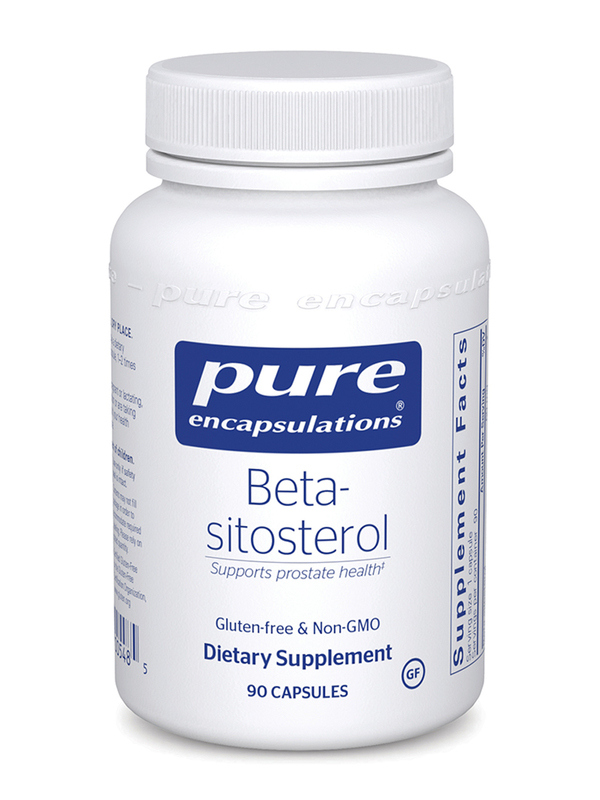 Beta-Sitosterol by Pure Encapsulations may work to relieve the often uncomfortable and embarrassing side effects associated with a benign enlarged prostate. When this body part is too big‚ it might put too much pressure on the urethra‚ the tube responsible for carrying urine out of your body from the bladder; as a result‚ this can cause pain when you need to go to the bathroom. 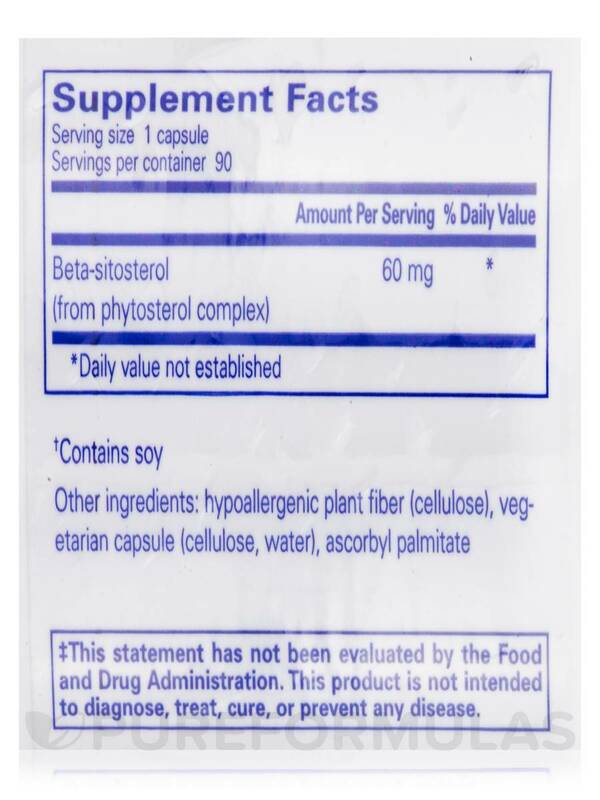 Beta-sitosterol‚ a natural substance that's part of a plant-based phytosterol complex‚ may promote urinary tract health‚ especially during the aging process in many men. A phytosterol complex can promote prostate health while also supporting sexual performance and cardiovascular well-being. 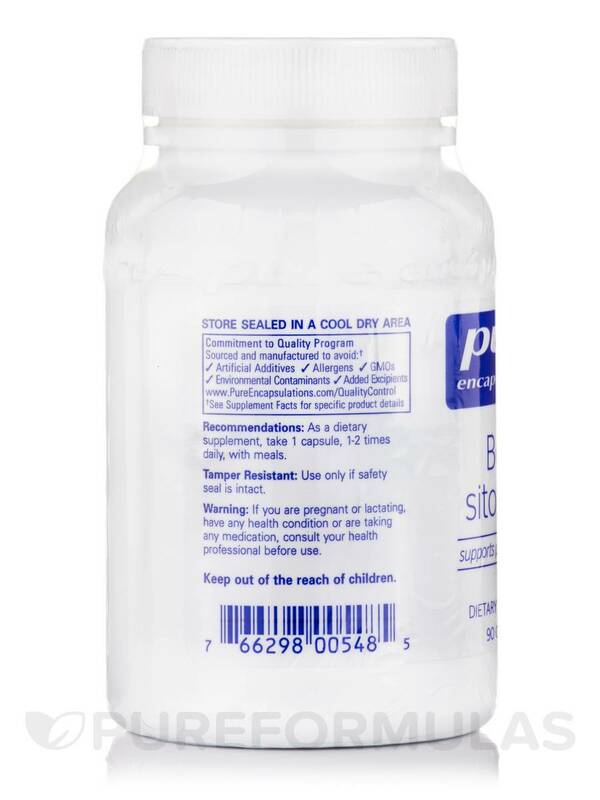 Pure Encapsulations' Beta-Sitosterol may lead to stronger urine flow and better control over urination‚ allowing you to feel more comfortable in your daily life. Some believe that it functions by binding to the prostate in order to reduce mild inflammation or swelling. 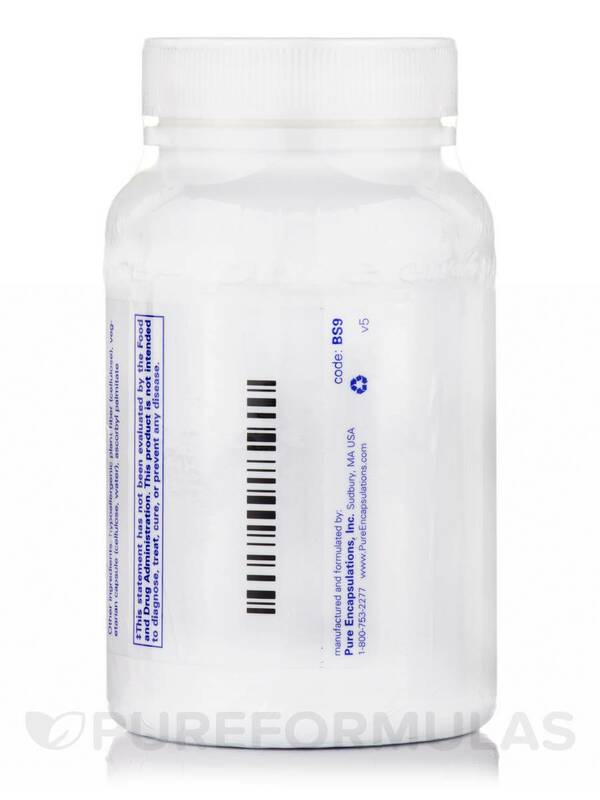 Each bottle of non-GMO Beta-Sitosterol by Pure Encapsulations contains 90 capsules‚ making it a good trial size if it's your first time taking it. Don't use this supplement if you're allergic to soy products. Pure Encapsulations seeks to formulate and manufacture high-quality dietary supplements. Quality control during the formulation and manufacturing process is paramount. All Pure Encapsulations products are made with the most bioavailable ingredients possible. Other Ingredients: Hypoallergenic plant fiber (cellulose)‚ ascorbyl palmitate‚ vegetarian capsule (cellulose‚ water). 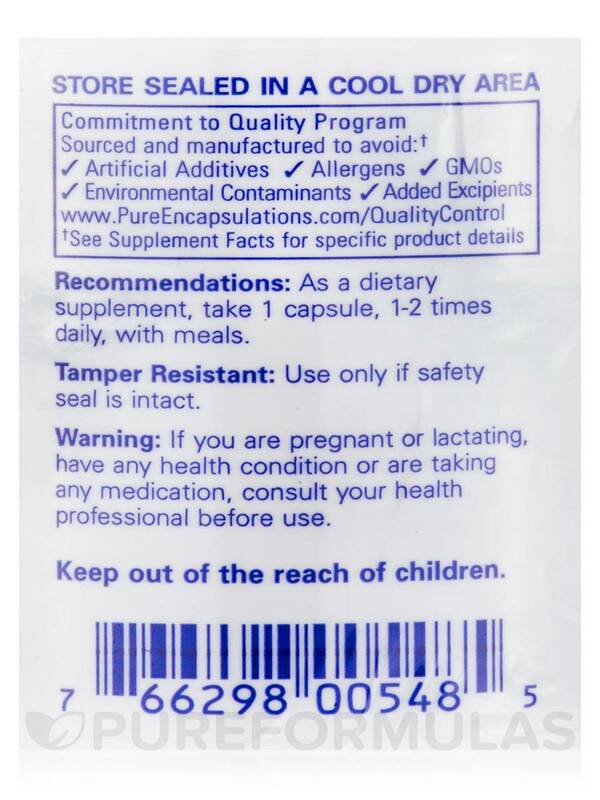 Sourced and manufactured to avoid: Artificial additives‚ GMOs‚ environmental contaminants‚ added excipients. If you are pregnant or lactating‚ have any health condition or are taking any medication‚ consult your heath professional before use. Pure Encapsulations products are great and the items listed, in ingredients, are actually in the product.